At the Crystal Valley Cooperative, a railroad locomotive slowly moves grain cars into position to be filled with corn. As a worker prepares to unleash a torrent of corn into the next waiting car, the long line stops with a bang. "This one is going to Burley, Idaho," said Jeff Spence, the company's grain division manager. "It'll be used for dairy feed." Spence is happy to have a train to load, even though he had to wait for days. 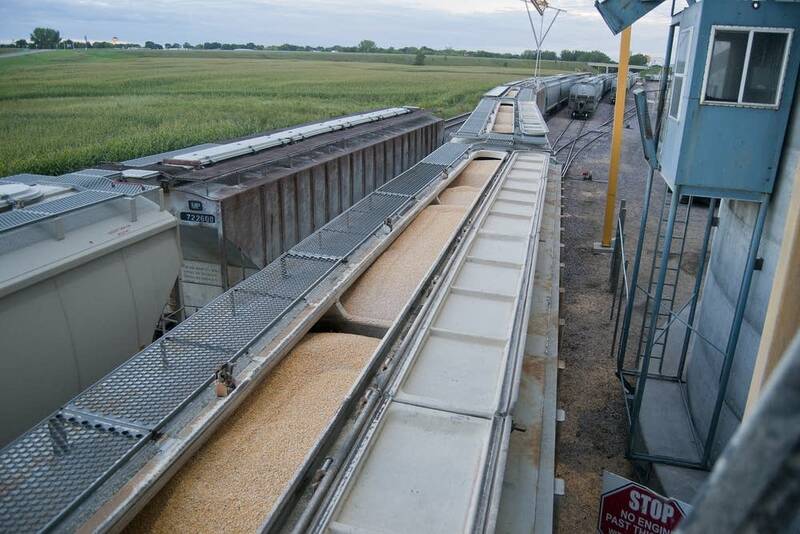 With a record harvest expected this year, demand for grain shipping is likely to be high, and Midwestern farmers are wondering whether ongoing railroad delays will eat into their income even more. "This train, we were supposed to get it Monday," Spence said Thursday at the southern Minnesota facility. "So they're still running a few days behind." But that's a relatively mild hold-up compared to much-longer delays in North and South Dakota and western Minnesota. Although farm groups are complaining in unison about rail shipping delays, some areas are much worse off than others. Grain shippers in the northern and western parts of the state have few options beyond rail, said Jerry Fruin, professor emeritus of agricultural economics at the University of Minnesota. But southern Minnesota farmers have more choices, such as shipping by barge on the Mississippi River. 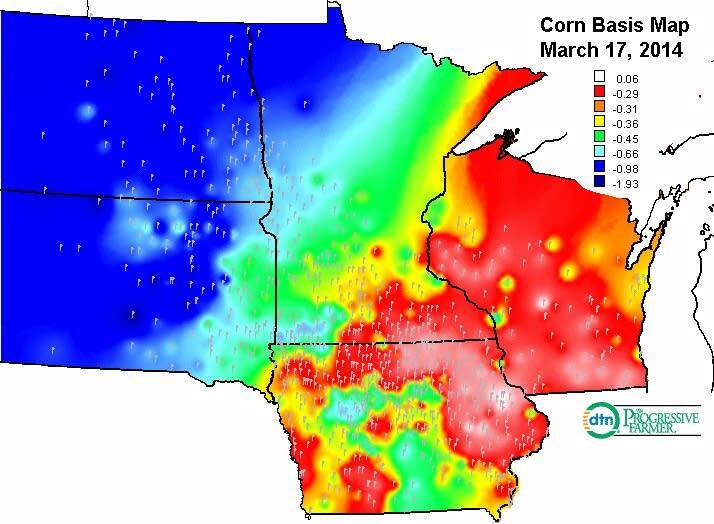 Also, instead of sending crops to other parts of the country or the world, southern Minnesota keeps more of its grain at home. Livestock feed is one big use, but there are others. "The major use for corn would be processing into ethanol, and for soybeans processing it into meal used for feed; and oil, primarily used for food," Fruin said. So if rail cars are not available, a Southern Minnesota farmer or elevator may be able to sell grain to a local buyer. When farmers or grain elevators have to wait to move grain, the added costs can run in the hundreds of millions, by some estimates. "When you get into transportation shortages, the price of transportation will probably go up to meet the demand," Fruin said. That's what happened when the rail car shortage hit. 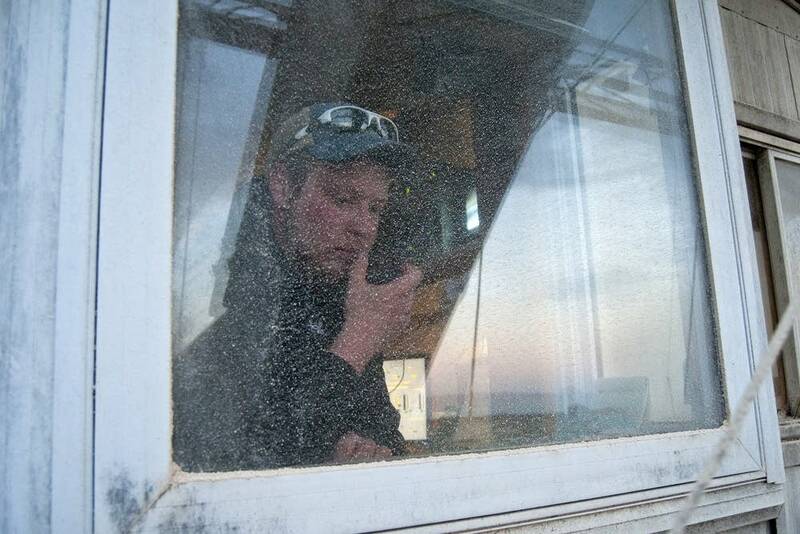 The cost of shipping more than doubled for many grain elevators. • Previously: Farmers, elevators fume at costly grain train delays; oil trains to blame? Fruin said farmers pay the bill for those increases because transportation expenses are taken out of the price per bushel an elevator pays for grain. That shipping deduction, called a "basis," fluctuates - largely beasue of shipping costs. "It is generally equal to what the transportation cost is to the market that you are wanting to send it to," Fruin said. Typically the basis for corn is anywhere from 20 to 40 cents a bushel. When the rail crisis hit, the shortage of grain cars drove the price of rail shipping sky high and, the corn basis soared right along with it. In the worst hit areas, like western Minnesota and the Dakotas, the basis deduction tripled to a dollar a bushel or more. 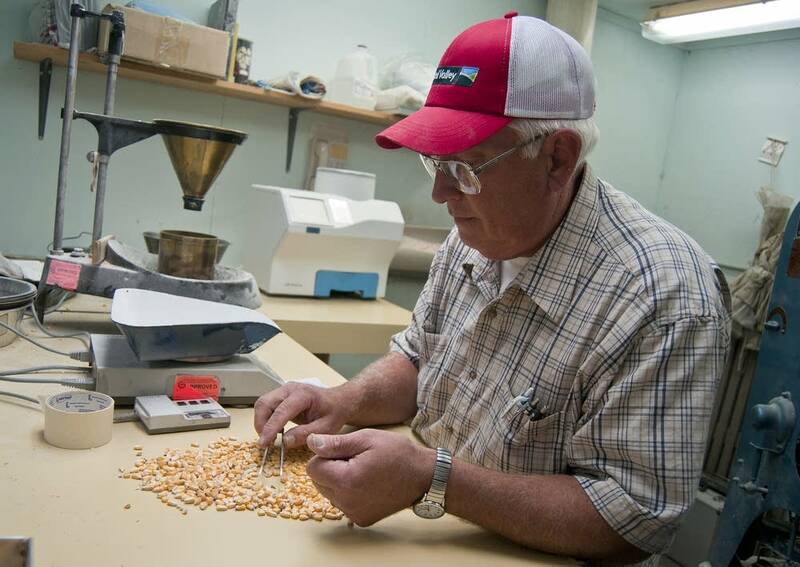 Many northwest Minnesota elevators are paying extremely low cash prices for corn because shipping costs are taking such a big cut, said Tom Haag, former president of the Minnesota Corn Growers Association. "This past week I talked to a colleague up there that, their corn basis is still 90 cents," Haag said. "And they're looking at cash corn right now at $1.95. That's major for those poor fellas up there." The cost to the farmers in that part of the state is substantial because they're earning less than $2 bucks for a bushel of corn that costs over $4.00 to produce. Such losses add up. A University of Minnesota study estimates state farmers already have lost $100 million, largely because of the shipping deduction. 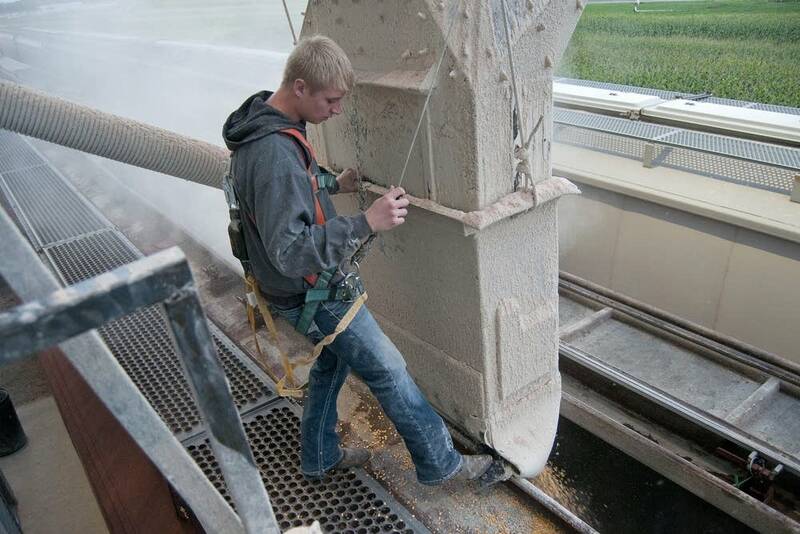 At the Crystal Valley operation in Madelia, a worker collects a corn sample from a rail car for quality testing. For farmers, the price of this corn is still painfully low, even though the elevator has options for shipping. When delays and high costs limit rail transportation the co-op can sell to a nearby ethanol plant. That helps buffer local corn producers against even greater financial pain from the rail car shortage. As the harvest gets underway, farmers will have to worry about rail transportation as well as the usual potential setbacks from weather, machinery breakdowns, or a disappointing crop. The major railroads say they've spent hundreds of millions of dollars upgrading service this summer. The Canadian Pacific railway is reducing its backlog of shipping requests, spokesman Andy Cummings said. "We do expect to be current with demand heading into the fall harvest," he said Cummings. If that happens, it may be the first good news on the rail front for farmers and other shippers in nearly a year.